This year I have really got into creating healthy smoothie recipes, it’s a great way to get a range of fruit and veg into your diet but in a seriously delicious way. Over the past week I’ve created 4 brand new healthy smoothie recipes… a breakfast smoothie, a post workout smoothie, a turmeric smoothie and a green smoothie. I can’t decide which one I love best, I guarantee you will love them all! Mango Unchained is tropical heaven in a glass. Passion fruit is one of my favourite fruits and I love including it in my healthy smoothie recipes; it instantly makes a pineapple and mango smoothie hit the next level. This is also my turmeric smoothie! 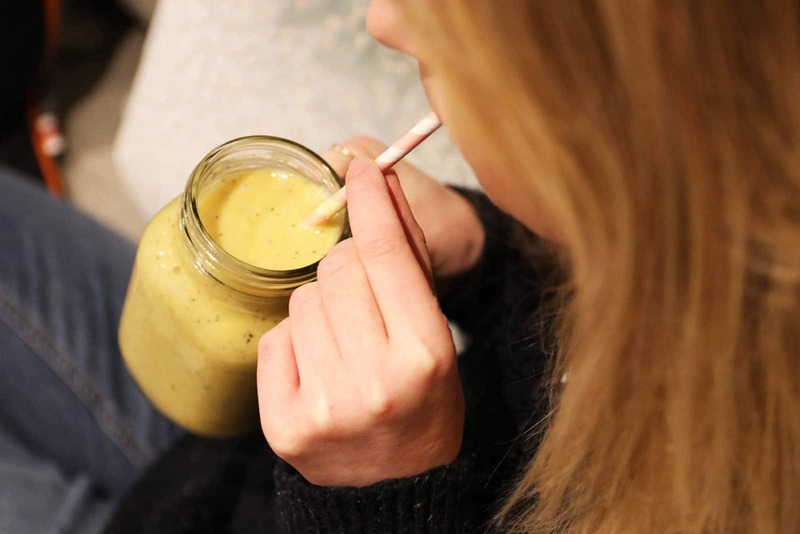 Turmeric works a treat in this smoothie and it has great health benefits too. Basically turmeric has anti-inflammatory and antioxidant properties and you really need very little to enjoy the benefits! As healthy smoothie recipes go this is definitely up there with the best, and as turmeric smoothies go this is the ultimate. I haven’t had many breakfast smoothies in my time, but I’ve always wanted to. 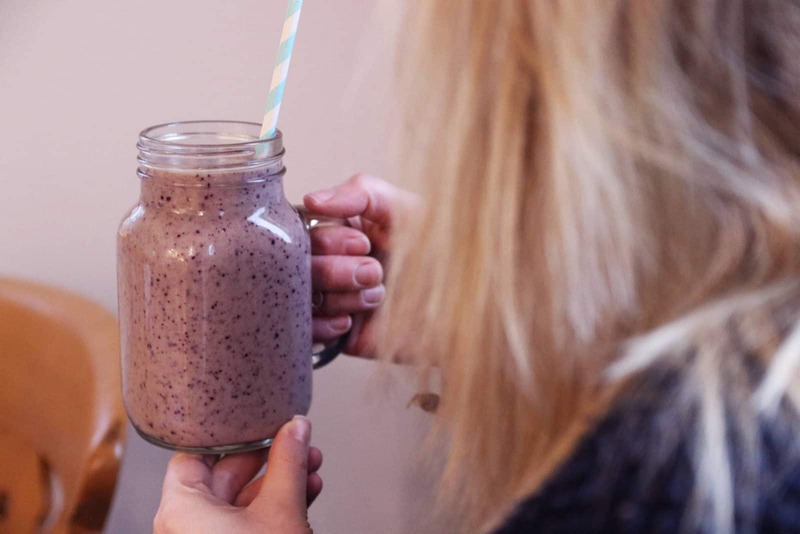 A breakfast smoothie is a quick and easy way of getting lots of goodness and energy into ones diet; and I for one am definitely up for a quick and easy way of doing this before work! The gluten free oats as well as the avocado and banana just provides so much energy for the day ahead, I’ve certainly been able to keep going all the way until lunch every day I’ve had it. This healthy smoothie recipe is such a vibrant colour as well, perfect to wake up to ‘berry early’ in the morning! Anyone else enjoy a breakfast smoothie? Oh my a green smoothie! I have always wanted to make a green smoothie that is actually really green but also tastes delish. For me the combination of apple and banana alongside the kale works a treat. I plan to over time introduce more ‘greens’ into my green smoothie, but at the same time ensuring that it still makes it as one of my top healthy smoothie recipes. I know I’m a little behind with green smoothies but I never thought that a drink this colour could possibly taste this good. If you have been thinking about trying a green smoothie recipe out for a while I would definitely recommend my Killer Kale! As I write this I am actually have this smoothie sitting right next to me. I’ve been for a 40 minute gym session this morning and I felt this was the perfect drink to have post workout. 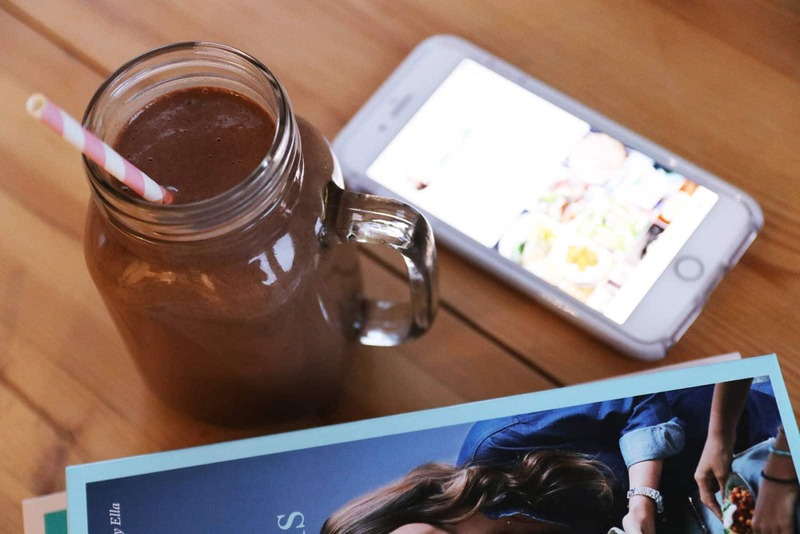 I can’t quite believe how good this smoothie tastes, it’s like the ultimate chocolate shake. As healthy smoothie recipes go this has to be one of my favourites, I think this might be the best one I’ve created. If you aren’t drinking it post workout, feel free to remove to protein – it will still be amazing. I’ve been using the Pulsin rice protein in my smoothies. I love it – it’s both gluten free, dairy free and soya free but most importantly its not full of rubbish and is sugar free too. Anyway, I’m going to finish off my Shake it off now, this almond butter, chocolate shake is my perfect healthy post workout smoothie! 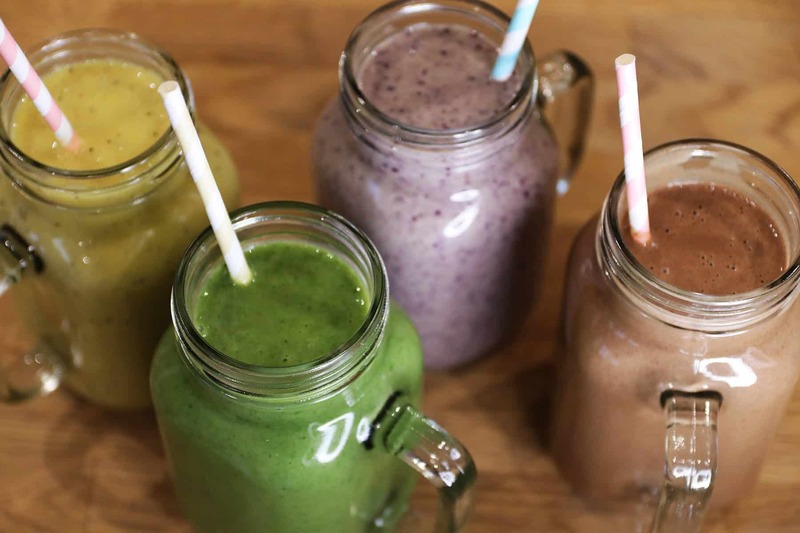 There you have it, my four healthy smoothie recipes. I thought I would put all four in one blog post so they are easily accessible to you, rather than having to search around so much! There is definitely a smoothie there for everyones tastebuds, and personally I think you will like all of them! 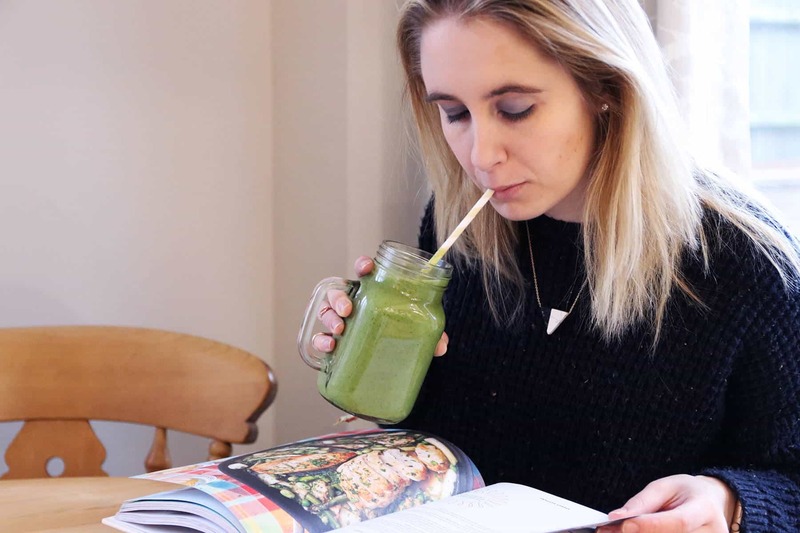 Seriously give my healthy smoothie recipes a try 🙂 Whether you fancy trying a new green smoothie, a breakfast smoothie, a tropical turmeric smoothie or like me right now, a post workout smoothie… just go for it! If you’ve got any healthy smoothie recipes you’d like to share with me, feel free to leave a comment below, or just drop me a message on Facebook/Twitter. I’m always up for trying new smoothies. Also, if you try out any of my smoothies, let me know!